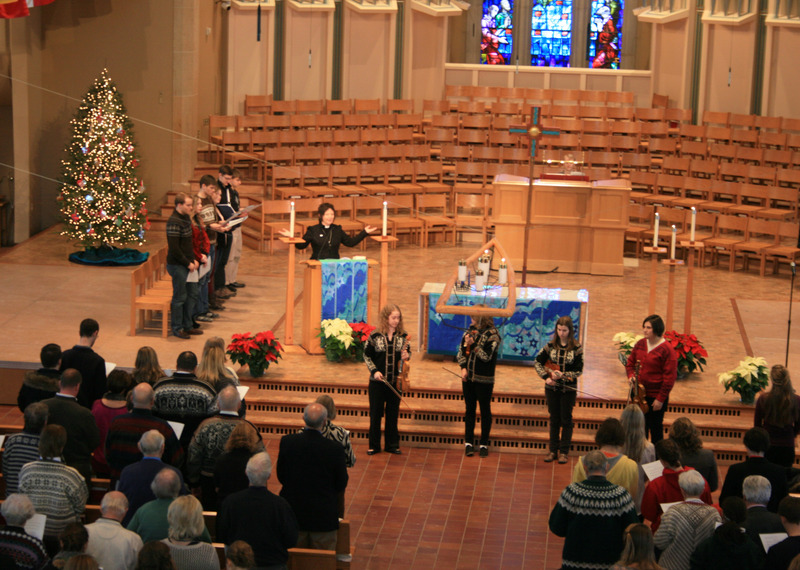 St. Olaf College offers daily chapel for students and staff as a time of inspiration for body, mind, and spirit, as well as a quiet harbor in a busy day. On December 9, 2013, the Norsk Julegudstjeneste was also a time to celebrate the Norwegian heritage of the school’s founders. Jepsen also presented to the St. Olaf community a copy of a new Norwegian hymnal, because “we are a singing church,” she said.